The holidays, the big game, New Year’s and everything in between: At this time of year there are plenty of reasons to invite family and friends to your home to entertain. In addition, there are also plenty of times — particularly on cold winter nights — when you just want to have a place you can go to get cozy, play a video game or watch a movie in peace. * Install a seating strategy. Every entertaining area has viewing seats that are less than ideal, and while a new projector can expand your viewing options, there’s still no reason to settle for second-class seating. If you’re planning to have a large group over on game day, a simple platform can provide your room with stadium seating and give everyone that at-the-game feel. If stadium seating isn't for you, strive for an open arrangement and place display tables and other storage solutions behind seating when guests come over. Those items don’t need a good viewing angle anyway. * Add a few extra comforts. It’s time to take customizing your entertaining space up a notch by adding a few elements that are uniquely you. From full bars to mini fridges, humidors and portable air conditioners or dehumidifiers, there are several tiny additions you can make to any entertaining area to make the space more enjoyable. If you've ever wished you had something nearby, now's your time to add it. Think it over and you’ll see that the right additions can have a big impact on how you use the space and how much you enjoy it. Reshape your entertaining space today. With so many big events coming up, every moment you waste in reshaping your entertaining space is another opportunity missed, so don't delay. Start visualizing your space for what it could be instead of what it is and you'll be on your way to creating the entertaining space you've always wanted. To learn more about the LG’s latest 4K UHD projector and to see it in action, watch the team from Inverse play this year's hottest game on this one-of-a-kind technology at https://www.inverse.com/squad-up. Redefine your entertaining space with these tips. * Control light. To keep total control of the light in your entertaining area, invest in room-darkening blinds or dark-colored curtains that can block out the sun when you crave darkness and let in the light when you don’t. * Redefine your viewing experience. 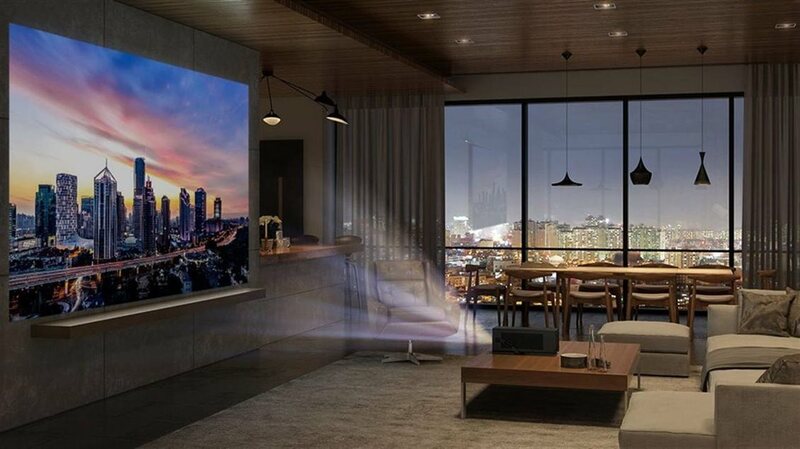 The 4K UHD Laser Smart Home Theater CineBeam Projector is perfect for binge-watching the hottest shows, gaming in an immersive experience or cheering on your favorite team. The projector itself can be ceiling mounted or set up to reflect onto any screen you want. * Install a seating strategy. If you’re planning to have a large group over on game day, a simple platform can provide your room with stadium seating and give everyone that at-the-game feel.